Complete the form below to receive information regarding additional incentives on this vehicle. Navigation, Moonroof, Heated Leather Seats, Aluminum Wheels, Turbo Charged, 4x4, Heated Rear Seat, Panoramic Roof. Limited trim. Warranty 5 yrs/60k Miles - Drivetrain Warranty; SEE MORE!KEY FEATURES INCLUDELeather Seats, Navigation, Panoramic Roof, Heated Driver Seat, Heated Rear Seat MP3 Player, Sunroof, 4x4, Aluminum Wheels, Keyless Entry.WHY BUY FROM USBaxter Ford West Dodge, a full-service Ford dealership in Omaha, is your source for new Ford cars, trucks, vans and SUVs both online and in our showroom. We also sell used vehicles and certified pre-owned Fords. At our 18505 California Street (185th & Dodge) location, we also provide parts and auto repair service. We're part of Baxter Auto, the largest dealer group in Nebraska.Please confirm the accuracy of the included equipment by calling us prior to purchase. Nav System, Moonroof, Heated Leather Seats, Aluminum Wheels, Turbo Charged Engine, 4x4, Heated Rear Seat, Panoramic Roof. Limited trim. Warranty 5 yrs/60k Miles - Drivetrain Warranty; READ MORE!KEY FEATURES INCLUDELeather Seats, Navigation, Panoramic Roof, Heated Driver Seat, Heated Rear Seat. MP3 Player, Sunroof, 4x4, Aluminum Wheels, Keyless Entry.EXPERTS ARE SAYINGEdmunds.com's review says This truck steers and handles about as well as anything in the class. It has confidence-inspiring brakes, too. They feel reassuring even when towing a trailer..BUY FROM AN AWARD WINNING DEALERBaxter Ford West Dodge, a full-service Ford dealership in Omaha, is your source for new Ford cars, trucks, vans and SUVs both online and in our showroom. We also sell used vehicles and certified pre-owned Fords. At our 18505 California Street (185th & Dodge) location, we also provide parts and auto repair service. We're part of Baxter Auto, the largest dealer group in Nebraska.Please confirm the accuracy of the included equipment by calling us prior to purchase. Navigation, Heated/Cooled Leather Seats, Sunroof, Running Boards, 4x4, Alloy Wheels, Turbo Charged, Back-Up Camera, Heated Rear Seat, Panoramic Roof. Limited trim. Warranty 5 yrs/60k Miles - Drivetrain Warranty; CLICK NOW!KEY FEATURES INCLUDELeather Seats, Navigation, Panoramic Roof, Heated Driver Seat, Heated Rear Seat, Cooled Driver Seat, Back-Up Camera, Running Boards, Turbocharged, Premium Sound System, Satellite Radio, iPod/MP3 Input, Remote Engine Start, Dual Zone A/C, Lane Keeping Assist. 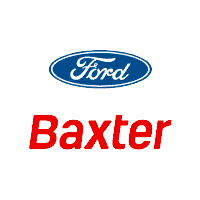 MP3 Player, Sunroof, 4x4, Onboard Communications System, Aluminum Wheels.BUY FROM AN AWARD WINNING DEALERBaxter Ford South, a full-service Ford dealership in Omaha, is your source for new Ford cars, trucks, vans and SUVs both online and in our showroom. We also sell used vehicles and certified pre-owned Fords. At our 9203 South 145th Street (near Sapp Bros.) location, we also provide parts and auto repair service. We're part of Baxter Auto, the largest dealer group in Nebraska.Please confirm the accuracy of the included equipment by calling us prior to purchase. Heated Leather Seats, NAV, Sunroof, RUBY RED METALLIC TINTED CLEARCOAT, ELECTRONIC LOCKING W/3.55 AXLE RATIO, Turbo, Premium Sound System, 4x4. Ruby Red Metallic Tinted Clearcoat exterior and Mesa interior, King Ranch trim. SEE MORE!KEY FEATURES INCLUDENavigation, Heated Rear Seat, Premium Sound System, Satellite Radio, iPod/MP3 Input, Remote Engine Start, Dual Zone A/C, WiFi Hotspot, Smart Device Integration MP3 Player, 4x4, Onboard Communications System, Privacy Glass, Keyless Entry.OPTION PACKAGESEQUIPMENT GROUP 601A LUXURY Inflatable Rear Safety Belts, Multi-Contour Driver & Passenger Seats, Active Motion, Blind Spot Information System (BLIS), cross-traffic alert and trailer tow monitoring (BLIS sensor in LED taillamp), Tailgate Step w/Tailgate Lift Assist, Power-Deployable Running Boards Replaces step bar, Wheels: 20 Machined-Aluminum, light Caribou painted pockets and Caribou wheel ornament w/Caribou King Ranch logo, Tires: P275/55R20 OWL Automatic Transmission, 275/65R18 OWL all-terrain spare tire, KING RANCH CHROME APPEARANCE PACKAGE 2 chrome front tow hooks and tailgate applique, Chrome Skull Caps on Exterior Mirrors, Wheels: 20 Chrome-Like PVD, Caribou wheel ornaments w/King Ranch logo, Chrome Front & Rear Bumpers, Tires: P275/55R20 OWL Automatic Transmission, 275/65R18 OWL all-terrain spare tire, Chrome Door Handles w/Body-Color Strap, Bright Belt Moldings, TWIN PANEL MOONROOF, MAX TRAILER TOW PACKAGE max towing capability up to TBD and upgraded rear bumper, Pro Trailer Backup Assist, Electronic Locking w/3.55 Axle Ratio, Engine Oil Cooler, Upgraded Front Stabilizer Bar, Extended Range 36 Gallon Fuel Tank, Auxiliary Transmission Oil Cooler, ADAPTIVE CRUISE CONTROL stop-and-go and pedestrian detection, TECHNOLOGY PACKAGE Lane-Keeping System, 360 camera w/split-view display and dynamic hitch assistHorsepower calculations based on trim engine configuration. Please confirm the accuracy of the included equipment by calling us prior to purchase. Heated Leather Seats, Nav System, Moonroof, WHITE PLATINUM METALLIC TRI-COAT, ELECTRONIC LOCKING W/3.55 AXLE RATIO, Turbo Charged Engine, 4x4. White Platinum Metallic Tri-Coat exterior and Mesa interior, King Ranch trim. CLICK ME!KEY FEATURES INCLUDENavigation, Heated Rear Seat, Premium Sound System, Satellite Radio, iPod/MP3 Input, Remote Engine Start, Dual Zone A/C, WiFi Hotspot, Smart Device Integration. MP3 Player, 4x4, Onboard Communications System, Privacy Glass, Keyless Entry.OPTION PACKAGESEQUIPMENT GROUP 601A LUXURY Inflatable Rear Safety Belts, Multi-Contour Driver & Passenger Seats, Active Motion, Blind Spot Information System (BLIS), cross-traffic alert and trailer tow monitoring (BLIS sensor in LED taillamp), Tailgate Step w/Tailgate Lift Assist, Power-Deployable Running Boards Replaces step bar, Wheels: 20 Machined-Aluminum, light Caribou painted pockets and Caribou wheel ornament w/Caribou King Ranch logo, Tires: P275/55R20 OWL Automatic Transmission, 275/65R18 OWL all-terrain spare tire, KING RANCH CHROME APPEARANCE PACKAGE 2 chrome front tow hooks and tailgate applique, Chrome Skull Caps on Exterior Mirrors, Wheels: 20 Chrome-Like PVD, Caribou wheel ornaments w/King Ranch logo, Chrome Front & Rear Bumpers, Tires: P275/55R20 OWL Automatic Transmission, 275/65R18 OWL all-terrain spare tire, Chrome Door Handles w/Body-Color Strap, Bright Belt Moldings, TWIN PANEL MOONROOF, MAX TRAILER TOW PACKAGE max towing capability up to TBD and upgraded rear bumper, Pro Trailer Backup Assist, Electronic Locking w/3.55 Axle Ratio, Engine Oil Cooler, Upgraded Front Stabilizer Bar, Extended Range 36 Gallon Fuel Tank, Auxiliary Transmission Oil Cooler, ADAPTIVE CRUISE CONTROL stop-and-go and pedestrian detection, TECHNOLOGY PACKAGE Lane-Keeping System, 360 camera w/split-view display and dynamic hitch assistHorsepower calculations based on trim engine configuration. Please confirm the accuracy of the included equipment by calling us prior to purchase. Heated Leather Seats, Navigation, Sunroof, Turbo Charged, ELECTRONIC LOCKING W/3.55 AXLE RATIO, Premium Sound System. EPA 22 MPG Hwy/16 MPG City! Ruby Red Metallic Tinted Clearcoat exterior and Mesa interior, King Ranch trim AND MORE!KEY FEATURES INCLUDENavigation, Heated Rear Seat, Premium Sound System, Satellite Radio, iPod/MP3 Input. MP3 Player, 4x4, Keyless Entry, Privacy Glass, Steering Wheel Controls.OPTION PACKAGESEQUIPMENT GROUP 601A LUXURY Inflatable Rear Safety Belts, Multi-Contour Driver & Passenger Seats, Active Motion, Blind Spot Information System (BLIS), cross-traffic alert and trailer tow monitoring (BLIS sensor in LED taillamp), Tailgate Step w/Tailgate Lift Assist, Power-Deployable Running Boards Replaces step bar, Wheels: 20 Machined-Aluminum, light Caribou painted pockets and Caribou wheel ornament w/Caribou King Ranch logo, Tires: P275/55R20 OWL Automatic Transmission, 275/65R18 OWL all-terrain spare tire, ENGINE: 3.0L POWER STROKE V6 TURBO DIESEL B20 4 valve DOHC and auto start-stop technology, GVWR: 7,050 lbs Payload Package, KING RANCH CHROME APPEARANCE PACKAGE 2 chrome front tow hooks and tailgate applique, Chrome Skull Caps on Exterior Mirrors, Wheels: 20 Chrome-Like PVD, Caribou wheel ornaments w/King Ranch logo, Chrome Front & Rear Bumpers, Tires: P275/55R20 OWL Automatic Transmission, 275/65R18 OWL all-terrain spare tire, Chrome Door Handles w/Body-Color Strap, Bright Belt Moldings, TECHNOLOGY PACKAGE Lane-Keeping System, 360 camera w/split-view display and dynamic hitch assist, Active Park Assist, TWIN PANEL MOONROOF, ADAPTIVE CRUISE CONTROL stop-and-go and pre-collision assist w/pedestrian detection, TRAILER TOW PACKAGE Towing capability up to 11,100 lbs, Higher-Capacity RadiatorHorsepower calculations based on trim engine configuration. Fuel economy calculations based on original manufacturer data for trim engine configuration. Please confirm the accuracy of the included equipment by calling us prior to purchase. Heated Leather Seats, NAV, Sunroof, MESA, KING RANCH LEATHER BUCKET SEATS... ELECTRONIC LOCKING W/3.55 AXLE RATIO, Turbo, Premium Sound System, Satellite Radio. King Ranch trim, Magma Red Metallic exterior and Mesa interior. CLICK NOW!KEY FEATURES INCLUDENavigation, Heated Rear Seat, Premium Sound System, Satellite Radio, iPod/MP3 Input, Remote Engine Start, Dual Zone A/C, WiFi Hotspot, Smart Device Integration. MP3 Player, 4x4, Onboard Communications System, Privacy Glass, Keyless Entry.OPTION PACKAGESEQUIPMENT GROUP 601A LUXURY Inflatable Rear Safety Belts, Multi-Contour Driver & Passenger Seats, Active Motion, Blind Spot Information System (BLIS), cross-traffic alert and trailer tow monitoring (BLIS sensor in LED taillamp), Tailgate Step w/Tailgate Lift Assist, Power-Deployable Running Boards Replaces step bar, Wheels: 20 Machined-Aluminum, light Caribou painted pockets and Caribou wheel ornament w/Caribou King Ranch logo, Tires: P275/55R20 OWL Automatic Transmission, 275/65R18 OWL all-terrain spare tire, KING RANCH CHROME APPEARANCE PACKAGE 2 chrome front tow hooks and tailgate applique, Chrome Skull Caps on Exterior Mirrors, Wheels: 20 Chrome-Like PVD, Caribou wheel ornaments w/King Ranch logo, Chrome Front & Rear Bumpers, Tires: P275/55R20 OWL Automatic Transmission, 275/65R18 OWL all-terrain spare tire, Chrome Door Handles w/Body-Color Strap, Bright Belt Moldings, TWIN PANEL MOONROOF, MAX TRAILER TOW PACKAGE max towing capability up to TBD and upgraded rear bumper, Pro Trailer Backup Assist, Electronic Locking w/3.55 Axle Ratio, Engine Oil Cooler, Upgraded Front Stabilizer Bar, Extended Range 36 Gallon Fuel Tank, Auxiliary Transmission Oil Cooler, ADAPTIVE CRUISE CONTROL stop-and-go and pedestrian detection, TECHNOLOGY PACKAGE Lane-Keeping System, 360 camera w/split-view display and dynamic hitch assistHorsepower calculations based on trim engine configuration. Please confirm the accuracy of the included equipment by calling us prior to purchase. Sunroof, NAV, Heated/Cooled Leather Seats, ELECTRONIC LOCKING W/3.55 AXLE RATIO, Alloy Wheels, Heated Rear Seat, 4x4, Turbo, SKID PLATES. White Platinum Metallic Tri-Coat exterior and Medium Light Camel interior, Platinum trim. SEE MORE!KEY FEATURES INCLUDELeather Seats, Navigation, Heated Driver Seat, Heated Rear Seat, Cooled Driver Seat. MP3 Player, 4x4, Aluminum Wheels, Privacy Glass, Keyless Entry.OPTION PACKAGESEQUIPMENT GROUP 701A LUXURY Technology Package, Lane-Keeping System, 360 camera w/split-view display and dynamic hitch assist, Active Park Assist, Tailgate Step w/Tailgate Lift Assist, Adaptive Cruise Control, stop-and-go and pedestrian detection, TWIN PANEL MOONROOF, MAX TRAILER TOW PACKAGE max towing capability up to TBD and upgraded rear bumper, Pro Trailer Backup Assist, Electronic Locking w/3.55 Axle Ratio, Engine Oil Cooler, Upgraded Front Stabilizer Bar, Extended Range 36 Gallon Fuel Tank, Auxiliary Transmission Oil Cooler, TECHNOLOGY PACKAGE Lane-Keeping System, 360 camera w/split-view display and dynamic hitch assist, Active Park Assist, FX4 OFF-ROAD PACKAGE Tray Style Floor Liner, Electronic Locking w/3.31 Axle Ratio, Hill Descent Control, Off-Road Tuned Front Shock Absorbers, Skid Plates, fuel tank, transfer case and front differential, 4x4 FX4 Off-Road Bodyside Decal, ENGINE: 3.5L V6 ECOBOOST auto start-stop technology, WHITE PLATINUM METALLIC TRI-COAT, EXTENDED RANGE 36 GALLON FUEL TANK, TAILGATE STEP W/TAILGATE LIFT ASSIST, TRAY STYLE FLOOR LINER, SKID PLATES fuel tank, transfer case and front differential, ELECTRONIC LOCKING W/3.55 AXLE RATIO, TRANSMISSION: ELECTRONIC 10-SPEED AUTOMATIC selectable drive modes: normal/tow-haul/snow-wet/EcoSelect/sport (STD).WHY BUY FROM USBaxter Ford West Dodge, a full-service Ford dealership in Omaha, is your source for new Ford carsHorsepower calculations based on trim engine configuration. Please confirm the accuracy of the included equipment by calling us prior to purchase. Sunroof, Navigation, Heated/Cooled Leather Seats, ELECTRONIC LOCKING W/3.55 AXLE RATIO, Alloy Wheels, Heated Rear Seat, 4x4, Turbo Charged. White Platinum Metallic Tri-Coat exterior and Medium Light Camel interior, Platinum trim. READ MORE!KEY FEATURES INCLUDELeather Seats, Navigation, Heated Driver Seat, Heated Rear Seat, Cooled Driver Seat MP3 Player, 4x4, Aluminum Wheels, Privacy Glass, Keyless Entry.OPTION PACKAGESEQUIPMENT GROUP 701A LUXURY Technology Package, Lane-Keeping System, 360 camera w/split-view display and dynamic hitch assist, Active Park Assist, Tailgate Step w/Tailgate Lift Assist, Adaptive Cruise Control, stop-and-go and pedestrian detection, TWIN PANEL MOONROOF, MAX TRAILER TOW PACKAGE max towing capability up to TBD and upgraded rear bumper, Pro Trailer Backup Assist, Electronic Locking w/3.55 Axle Ratio, Engine Oil Cooler, Upgraded Front Stabilizer Bar, Extended Range 36 Gallon Fuel Tank, Auxiliary Transmission Oil Cooler, TECHNOLOGY PACKAGE Lane-Keeping System, 360 camera w/split-view display and dynamic hitch assist, Active Park Assist, FX4 OFF-ROAD PACKAGE Tray Style Floor Liner, Electronic Locking w/3.31 Axle Ratio, Hill Descent Control, Off-Road Tuned Front Shock Absorbers, Skid Plates, fuel tank, transfer case and front differential, 4x4 FX4 Off-Road Bodyside Decal, ENGINE: 3.5L V6 ECOBOOST auto start-stop technology, WHITE PLATINUM METALLIC TRI-COAT, EXTENDED RANGE 36 GALLON FUEL TANK, TAILGATE STEP W/TAILGATE LIFT ASSIST, TRAY STYLE FLOOR LINER, SKID PLATES fuel tank, transfer case and front differential, ELECTRONIC LOCKING W/3.55 AXLE RATIO, TRANSMISSION: ELECTRONIC 10-SPEED AUTOMATIC selectable drive modes: normal/tow-haul/snow-wet/EcoSelect/sport (STD).WHO WE AREBaxter Ford West Dodge, a full-service Ford dealership in Omaha, is your source for new Ford cars, trucksHorsepower calculations based on trim engine configuration. Please confirm the accuracy of the included equipment by calling us prior to purchase. Nav System, Heated Leather Seats, Moonroof, Running Boards, Heated Rear Seat, Turbo Charged Engine, 4x4. Platinum trim, White Platinum Metallic Tri-Coat exterior and Black interior. FUEL EFFICIENT 22 MPG Hwy/16 MPG City! SEE MORE!KEY FEATURES INCLUDENavigation, Heated Rear Seat, Running Boards, Premium Sound System, Satellite Radio MP3 Player, 4x4, Aluminum Wheels, Keyless Entry, Privacy Glass.OPTION PACKAGESENGINE: 3.0L POWER STROKE V6 TURBO DIESEL B20 4 valve DOHC and auto start-stop technology, GVWR: 7,050 lbs Payload Package, EQUIPMENT GROUP 701A LUXURY Technology Package, Lane-Keeping System, 360 camera w/split-view display and dynamic hitch assist, Active Park Assist, Tailgate Step w/Tailgate Lift Assist, Adaptive Cruise Control, stop-and-go and pre-collision assist w/pedestrian detection, TECHNOLOGY PACKAGE Lane-Keeping System, 360 camera w/split-view display and dynamic hitch assist, Active Park Assist, TWIN PANEL MOONROOF, TRAILER TOW PACKAGE Towing capability up to 11,100 lbs, Higher-Capacity Radiator, Pro Trailer Backup Assist, Higher-Power Cooling Fans, Upgraded Front Stabilizer Bar, FX4 OFF-ROAD PACKAGE Electronic Locking w/3.31 Axle Ratio, Hill Descent Control, Off-Road Tuned Front Shock Absorbers, Skid Plates, fuel tank, transfer case and front differential, 4x4 FX4 Off-Road Bodyside Decal, WHITE PLATINUM METALLIC TRI-COAT, TAILGATE STEP W/TAILGATE LIFT ASSIST, SKID PLATES fuel tank, transfer case and front differential, ELECTRONIC LOCKING W/3.55 AXLE RATIO, BLACK, BLACK UNIQUE MULTI-CONTOUR LEATHER BUCKET SEATS Active Motion, 4-way adjustable driver/passenger headrests, heated and ventilated 10-way power driver and passenger w/power lumbar, memory driver's seat, flow-through console and floor shifterHorsepower calculations based on trim engine configuration. Fuel economy calculations based on original manufacturer data for trim engine configuration. Please confirm the accuracy of the included equipment by calling us prior to purchase. Sunroof, NAV, Heated/Cooled Leather Seats, ELECTRONIC LOCKING W/3.55 AXLE RATIO, Alloy Wheels, Heated Rear Seat, 4x4, Turbo, TRAY STYLE FLOOR LINER. Platinum trim, Agate Black Metallic exterior and Dark Earth Gray interior. AND MORE!KEY FEATURES INCLUDELeather Seats, Navigation, Heated Driver Seat, Heated Rear Seat, Cooled Driver Seat MP3 Player, 4x4, Aluminum Wheels, Privacy Glass, Keyless Entry.OPTION PACKAGESEQUIPMENT GROUP 701A LUXURY Technology Package, Lane-Keeping System, 360 camera w/split-view display and dynamic hitch assist, Active Park Assist, Tailgate Step w/Tailgate Lift Assist, Adaptive Cruise Control, stop-and-go and pedestrian detection, TWIN PANEL MOONROOF, MAX TRAILER TOW PACKAGE max towing capability up to TBD and upgraded rear bumper, Pro Trailer Backup Assist, Electronic Locking w/3.55 Axle Ratio, Engine Oil Cooler, Upgraded Front Stabilizer Bar, Extended Range 36 Gallon Fuel Tank, Auxiliary Transmission Oil Cooler, TECHNOLOGY PACKAGE Lane-Keeping System, 360 camera w/split-view display and dynamic hitch assist, Active Park Assist, FX4 OFF-ROAD PACKAGE Tray Style Floor Liner, Electronic Locking w/3.31 Axle Ratio, Hill Descent Control, Off-Road Tuned Front Shock Absorbers, Skid Plates, fuel tank, transfer case and front differential, 4x4 FX4 Off-Road Bodyside Decal, ENGINE: 3.5L V6 ECOBOOST auto start-stop technology, EXTENDED RANGE 36 GALLON FUEL TANK, TAILGATE STEP W/TAILGATE LIFT ASSIST, TRAY STYLE FLOOR LINER, SKID PLATES fuel tank, transfer case and front differential, ELECTRONIC LOCKING W/3.55 AXLE RATIO, TRANSMISSION: ELECTRONIC 10-SPEED AUTOMATIC selectable drive modes: normal/tow-haul/snow-wet/EcoSelect/sport (STD), AGATE BLACK METALLIC. Ford Platinum with Agate Black Metallic exterior and Dark Earth Gray interior features a V6 Cylinder Engine with 395 HP at 5750 RPM*.Horsepower calculations based on trim engine configuration. Please confirm the accuracy of the included equipment by calling us prior to purchase. Sunroof, Navigation, Heated/Cooled Leather Seats, ELECTRONIC LOCKING W/3.55 AXLE RATIO, Alloy Wheels, Heated Rear Seat, 4x4, Turbo Charged, SKID PLATES. Platinum trim, Agate Black Metallic exterior and Dark Earth Gray interior. CLICK ME!KEY FEATURES INCLUDELeather Seats, Navigation, Heated Driver Seat, Heated Rear Seat, Cooled Driver Seat MP3 Player, 4x4, Aluminum Wheels, Privacy Glass, Keyless Entry.OPTION PACKAGESEQUIPMENT GROUP 701A LUXURY Technology Package, Lane-Keeping System, 360 camera w/split-view display and dynamic hitch assist, Active Park Assist, Tailgate Step w/Tailgate Lift Assist, Adaptive Cruise Control, stop-and-go and pedestrian detection, TWIN PANEL MOONROOF, MAX TRAILER TOW PACKAGE max towing capability up to TBD and upgraded rear bumper, Pro Trailer Backup Assist, Electronic Locking w/3.55 Axle Ratio, Engine Oil Cooler, Upgraded Front Stabilizer Bar, Extended Range 36 Gallon Fuel Tank, Auxiliary Transmission Oil Cooler, TECHNOLOGY PACKAGE Lane-Keeping System, 360 camera w/split-view display and dynamic hitch assist, Active Park Assist, FX4 OFF-ROAD PACKAGE Tray Style Floor Liner, Electronic Locking w/3.31 Axle Ratio, Hill Descent Control, Off-Road Tuned Front Shock Absorbers, Skid Plates, fuel tank, transfer case and front differential, 4x4 FX4 Off-Road Bodyside Decal, ENGINE: 3.5L V6 ECOBOOST auto start-stop technology, EXTENDED RANGE 36 GALLON FUEL TANK, TAILGATE STEP W/TAILGATE LIFT ASSIST, TRAY STYLE FLOOR LINER, SKID PLATES fuel tank, transfer case and front differential, ELECTRONIC LOCKING W/3.55 AXLE RATIO, TRANSMISSION: ELECTRONIC 10-SPEED AUTOMATIC selectable drive modes: normal/tow-haul/snow-wet/EcoSelect/sport (STD), AGATE BLACK METALLIC. Ford Platinum with Agate Black Metallic exterior and Dark Earth Gray interior features a V6 Cylinder Engine with 395 HP at 5750 RPM*.Horsepower calculations based on trim engine configuration. Please confirm the accuracy of the included equipment by calling us prior to purchase. Heated Leather Seats, NAV, Sunroof, Turbo, Alloy Wheels, Bed Liner, 4x4, TWIN PANEL MOONROOF, Running Boards. FUEL EFFICIENT 22 MPG Hwy/16 MPG City! Platinum trim, Ruby Red Metallic Tinted Clearcoat exterior and Black interior CLICK ME!KEY FEATURES INCLUDENavigation, Heated Rear Seat, Running Boards, Premium Sound System, Satellite Radio. MP3 Player, 4x4, Aluminum Wheels, Privacy Glass, Keyless Entry.OPTION PACKAGESENGINE: 3.0L POWER STROKE V6 TURBO DIESEL B20 4 valve DOHC and auto start-stop technology, GVWR: 7,050 lbs Payload Package, EQUIPMENT GROUP 701A LUXURY Technology Package, Lane-Keeping System, 360 camera w/split-view display and dynamic hitch assist, Active Park Assist, Tailgate Step w/Tailgate Lift Assist, Adaptive Cruise Control, stop-and-go and pre-collision assist w/pedestrian detection, TECHNOLOGY PACKAGE Lane-Keeping System, 360 camera w/split-view display and dynamic hitch assist, Active Park Assist, TWIN PANEL MOONROOF, TRAILER TOW PACKAGE Towing capability up to 11,100 lbs, Higher-Capacity Radiator, Pro Trailer Backup Assist, Higher-Power Cooling Fans, Upgraded Front Stabilizer Bar, SPRAY-IN BEDLINER (PRE-INSTALLED) Custom Accessory, ELECTRONIC LOCKING W/3.55 AXLE RATIO, RUBY RED METALLIC TINTED CLEARCOAT, TAILGATE STEP W/TAILGATE LIFT ASSIST, TRANSMISSION: ELECTRONIC 10-SPEED AUTOMATIC selectable drive modes: normal/tow-haul/snow-wet/EcoSelect/sport (STD), BLACK, BLACK UNIQUE MULTI-CONTOUR LEATHER BUCKET SEATS Active Motion, 4-way adjustable driver/passenger headrests, heated and ventilated 10-way power driver and passenger w/power lumbar, memory driver's seat, flow-through console and floor shifter.EXPERTS REPORTGreat Gas Mileage: 22 MPG Hwy.BUY FROM AN AWARD WINNING DEALERBaxter Ford West DodgeHorsepower calculations based on trim engine configuration. Fuel economy calculations based on original manufacturer data for trim engine configuration. Please confirm the accuracy of the included equipment by calling us prior to purchase.